The Assignment: Create from scratch what appears to be a field recording of a large department store. These are the instructions that went out to the group’s email list (at tinyletter.com/disquiet-junto). The project is one in a foreseen series being done in conjunction with the exhibit As Real As It Gets, organized by Rob Walker. The exhibit will run at the gallery Apex Art in Manhattan from November 15 ”“ December 22, 2012. More information on the exhibit at apexart.org. The list of featured participants in the exhibit is: Kelli Anderson, Conrad Bakker, Beach Packaging Design, Matt Brown, Steven M. Johnson, Last Exit To Nowhere, MakerBot Industries, The Marianas (Michael Arcega and Stephanie Syjuco), Angie Moramarco, Oliver Munday, Omni Consumer Products, Staple Design, U.S. Government Accountability Office, Ryan Watkins-Hughes, Marc Weidenbaum/Disquiet Junto, Shawn Wolfe, and Dana Wyse. This week, for the 38th project, we will create an “artificial field recording.” That is, this week we’ll make something that to the listener appears to be a field recording, but is in truth entirely constructed. The aim carries over from last week: the finished audio should appear to be that of a large department store. Background: The goal for this project is twofold. In the immediate sense, it is to explore foley techniques from film and television sound, in which noises are employed to suggest other sounds (i.e., a bicycle bell suggests a cash register, layered and echoed footsteps suggest a crowd, a doorbell suggests an elevator). The project, however, has broader intentions. It’s being undertaken in association with the exhibit As Real as It Gets, organized by Rob Walker. The exhibit draws from Ã‰mile Zola’s novel Au Bonheur des Dames (The Ladies’ Paradise), published in 1883, which depicts life and commerce in a massive department store in Paris. As Real as It Gets will run at the gallery Apex Art in Manhattan from November 15 – December 22, 2012. Sounds produced for this Disquiet Junto project will be considered to be played in the gallery as part of the exhibit, and will also be made available to Disquiet Junto participants and other musicians and sound artists for subsequent projects related to Walker’s exhibit. There are also plans for a Disquiet Junto concert at Apex Art on Tuesday, November 27, in conjunction with the exhibit. Walker is a contributing writer to The New York Times Magazine and Design Observer, and the author of Buying In: The Secret Dialogue Between What We Buy and Who We Are (Random House: 2008) and Letters from New Orleans (Garrett County Press: 2005). Walker co-founded, with Joshua Glenn, the Significant Objects project. Deadline: Monday, September 24, at 11:59pm wherever you are. Title/Tag: When adding your track to the Disquiet Junto group on Soundcloud.com, please include the term “disquiet0038-asrealasitgets2”in the title of your track, and as a tag for your track. 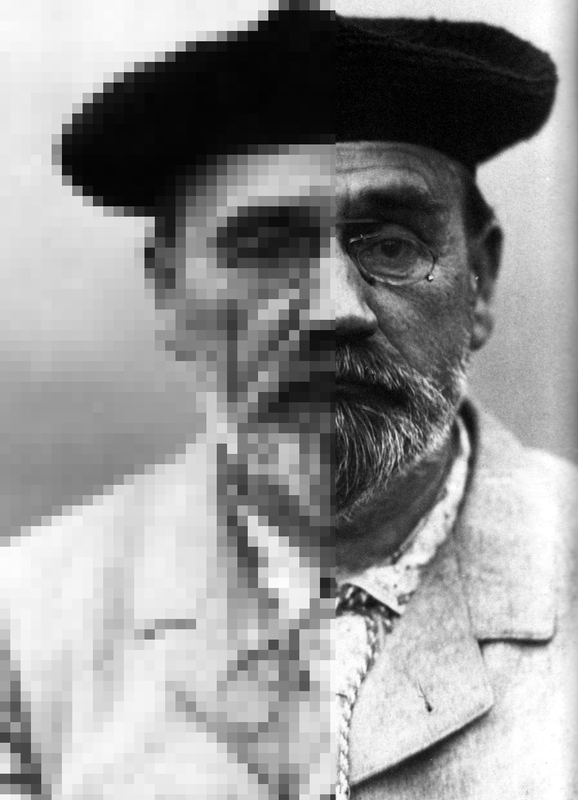 Photo of Ã‰mile Zola via wikipedia.org.